Understanding where and how many Stage-IV (settler or young-of-year) lobsters settle on the ocean bottom has been a challenge for scientists. Lobsters become settler lobsters after the larval stage and are less than 13 mm in length. These tiny lobsters can help in making predictions on recruitment of the population in the upcoming years. To better understand where and how many settler lobsters there on in our region, Fisheries and Oceans Canada (DFO) and the FSRS collaborated to make the lobster settlement collector project in 2006. Using a design by Richard Wahle and his colleagues in the states, Settlement Collectors were deployed in various areas across the Atlantic coast. Data collected from these collectors include length frequencies for lobster, crab, and fish, biodiversity samples and temperature. Scientists Adam Cook (Fisheries and Oceans Canada), Rick Wahle (Bigelow Laboratory for Ocean Sciences, Maine) and Rémy Rochette (University of New Brunswick), along with their colleagues are collaborating to better understand the dynamics of settlement of American lobster and to develop an index on annual settlement that will be useful for predicting future recruitment into the lobster fishery. The work in Canada complements an index of lobster settlement in the US that has been measured in several locations for more than 20 years. The Lobster Settlement Collector Project was created to better understand where and how many Stage-IV lobsters settle on the ocean bottom. The long term goal is to develop an index on annual settlement of lobster. *Sampling in the Canso-Whitehead area is completed by Guysborough County Inshore Fishermen’s Association (GCIFA) and DFO. This project requires not only people but funding. Thanks to the Nova Scotia Department of Fisheries and Aquaculture for providing funding to FSRS to support the project and to Fisheries and Oceans Canada for special funds to support the participation of DFO Science. 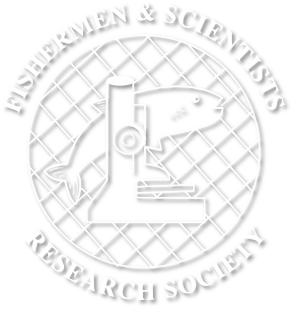 As well as to the fishermen who volunteer their time to conduct this research.